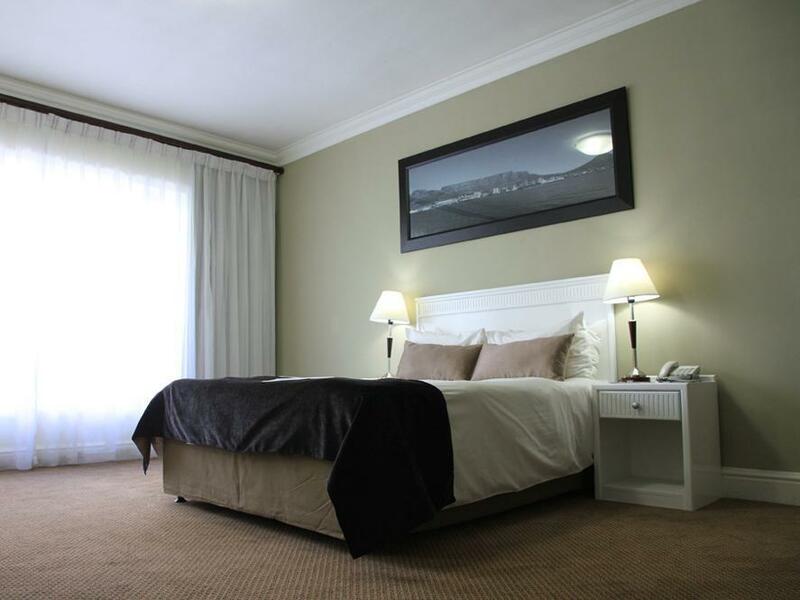 ﻿ The New Tulbagh Hotel Cape Town. JIMAT di Agoda.com! 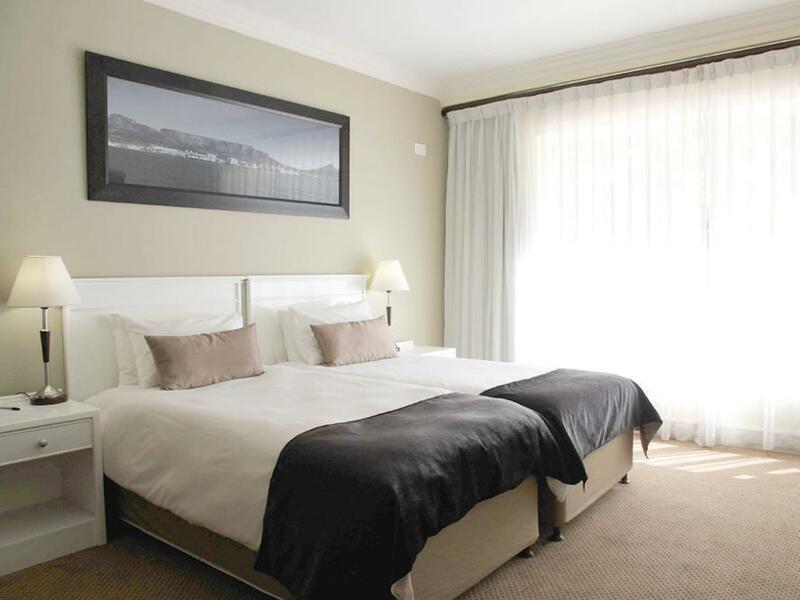 Ada soalan mengenai The New Tulbagh Hotel? 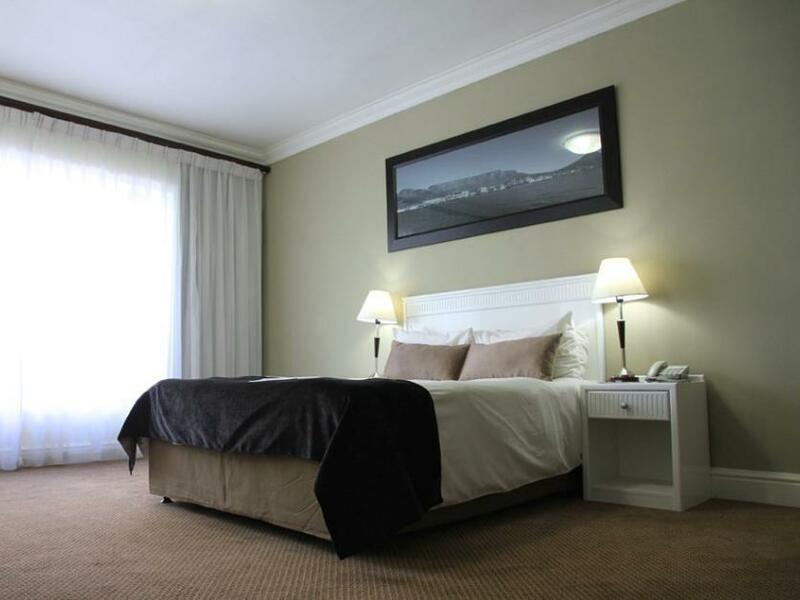 Terletak di tengah-tengah Pusat Bandar Cape Town, The New Tulbagh Hotel merupakan tempat yang sesuai untuk meneroka Cape Town. Hanya 0.1 Km dari pusat bandar, lokasi strategik hotel memastikan tetamu boleh ke mana-mana sahaja dengan cepat dan mudah ke tempat-tempat tarikan. Syurga untuk berehat dan bersantai, hotel ini akan menawarkan pembaharuan penuh hanya beberapa langkah dari pelbagai daya tarikan bandar seperti Virgin Active - Cape Town, Konsulat Jeneral Belgium, Konsulat Jeneral Switzerland. Menawarkan tetamu hotel perkhidmatan yang unggul dan pelbagai kemudahan, The New Tulbagh Hotel komited untuk memastikan penginapan anda berada di tahap seberapa selesa yang mungkin. Hotel ini menawarkan pelbagai kemudahan di lokasi untuk memuaskan hati tetamu termasuk yang arif. Hotel-hotel telah direka demi keselesaan dan memudahkan tetamu. Sebahagian bilik menyediakan televisyen skrin rata, internet wayarles (percuma), bilik larangan merokok, penyaman udara, pemanas. Di samping itu, pihak hotel menawarkan aktiviti rekreasi untuk memastikan anda mempunyai perkara untuk dilakukan sepanjang penginapan anda. 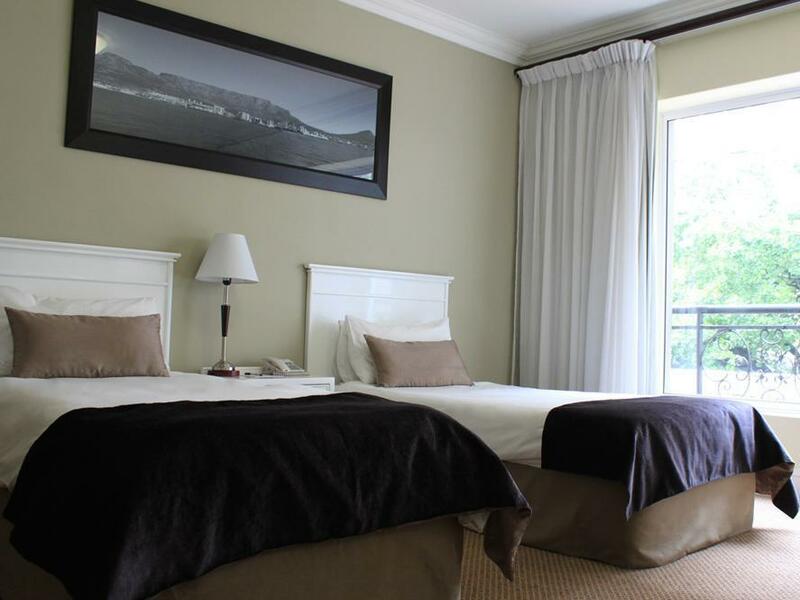 Apa juga tujuan lawatan, The New Tulbagh Hotel merupakan pilihan yang terbaik bagi penginapan anda di Cape Town. Umur minimum tetamu ialah 4 tahun. The hotel is well located between station and convention centre. Recommended those who come to conferences. Internet connection can become slow if there are many guests especially during evening time. Everything about this hotel is wonderful. 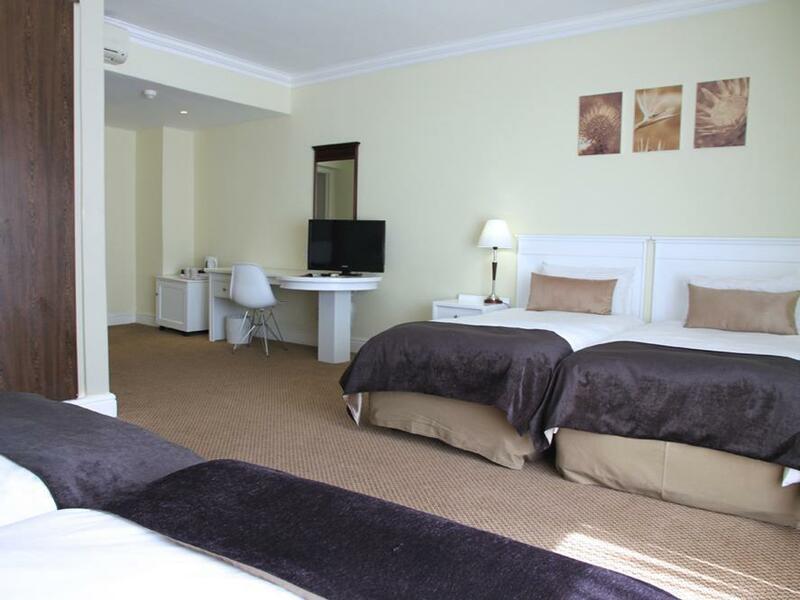 From the friendly staffs, beautiful deco in the lobby, nice room to stay and a perfect location (close to 2 MyCiti stations, Adderly and Thibault Square). I would definitely return to this hotel and strongly recommend it to other travelers. 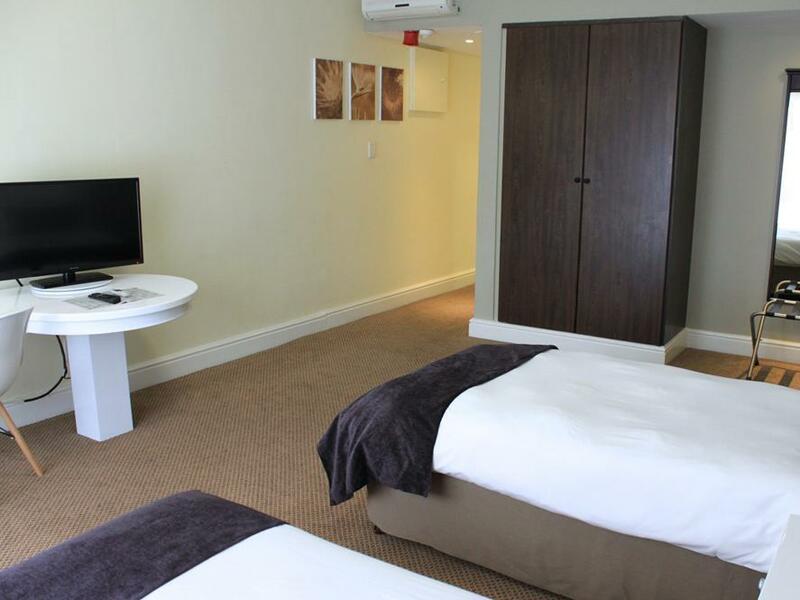 The hotel is centrally located, within walking distance to the Green Market and Convention Centre. The breakfast is OK but serve the same food everyday, without change. Friendly staff and family friendly. Easy to find halal food. we enjoy the staff, neat, and helpful poeple. everybody wants to help if possible. we will always booked in again. we afrikaans speaking poeple, but everyone try to help and let you feel special. a special thanks you awesome poeple. Bright airy room. Breakfast good. The new Tulbach hotel is in desperate need of an upgrade. Our bedding had holes in the linen, there was no Tv remote, the aircon dripped water the whole night in the strategically placed dustbin. The breakfast was average but cold on both mornings. If you have a car that needs to be parked please do not book at this hotel. I was charged upfront for the parking and there is no parking so I paid at another parking - Paid twice for parking. The furniture in the rooms have chips all over them. This hotel should be marketed as a low cost hotel. Had a nightmare staying here. The wifi didn't work in the room, except for, of all places, the toilet. Which was actually convenient, since I spent a lot of time there after eating their breakfast. Was also a struggle getting warm water, had to run the water for over 10 minutes to get it beyond lukewarm. When I asked reception for simple directions to the VA Waterfront, about a 15 minute walk, she looked at me like i was stupid and said just use google maps. I said I can't get online cause the wifi wasn't working, and she just said "just use google maps on your phone" and looked back at her computer to ignore me. I was busy with meetings on my last day so I decided to just stay an extra day for the convenience -- spoke with staff the night before and they assured me I could keep the same room, if I booked it online. Double checked the next morning before heading out, that I would indeed be able to keep the same room, and they said yes, no problem. When I arrived back at 7pm for a quick break between my meetings, they told me I must move to another room now, or pay an extra 500 Rand in cash (even though I'd paid in full online, on agoda, and showed them proof). Had to throw all my paperwork that I had laid out on the desk into a bag fast, and move it to the other room. 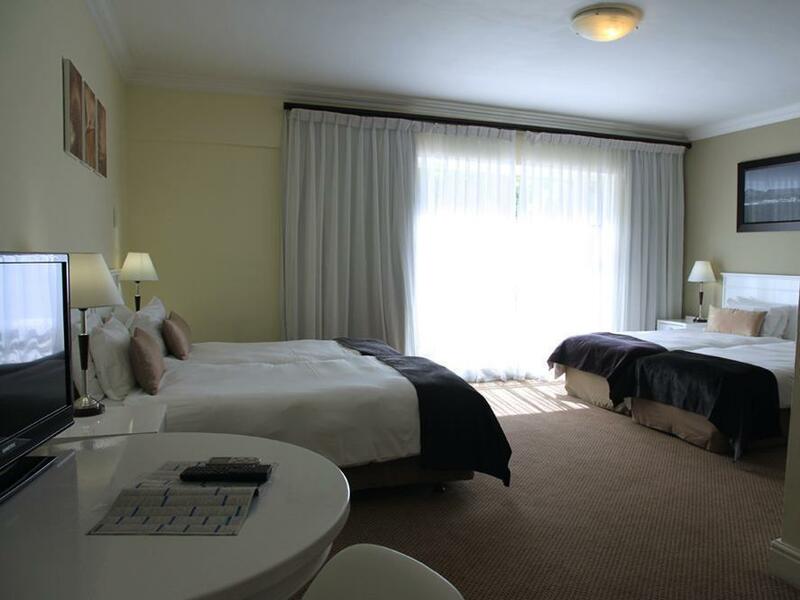 500 Rand on top is a lot to ask (the new room was actually bigger, so I asked them what the point was?) but they insisted I move. It was an insult and a major inconvenience, regardless of the money issue. The only plus, was that the new, supposedly cheaper room, was on the other side of the building, away from the loud junkies making noise all night, outside the first room. Don't stay here. 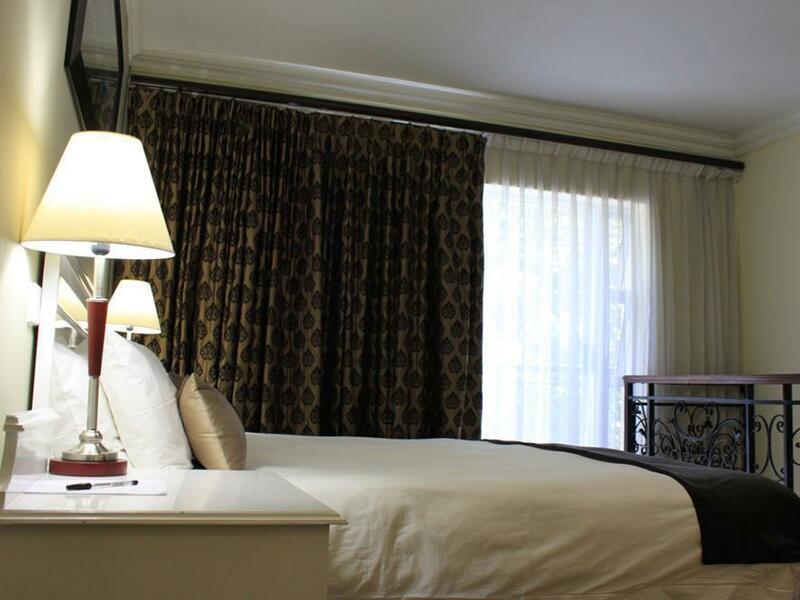 The Hotel needs to update the photos on their website, it does not look even remotely the same. The room décor and everything else is very old, although it looks quite new on their photos. The website are very misleading. The duvets on the beds were way to small - one duvet for 2 single beds next to each other. We booked for 4 adults in 1 room, but there were only 2 towels and coffee facilities for 3 people. Our room was next to the lift, when someone used it, the motor was very loud and you could also feel it vibrating in our room - not nice when you want to sleep. The staff were very friendly. Would not recommend Hotel. Generally I hated my stay there. Things which stood out are the following: one night we got back to the hotel shortly after midnight. We stood at the closed door of the hotel ringing the bell for over 20 minutes. Nobody came to open the door. Only after making a phone call to the hotel we were able to get some staff to come and open the door, but the staff was grumpy and unapologetic. The room was rather dirty, the air-conditioning unit did not work, and the bathroom had strands of long hair all over the floor, even though neither myself or my partner have long hair so clearly the hair is from the cleaning staff or from previous guests. Stay is generally pleasant. On my first stay the aircon was broken and they did not offer to move me to another room. The water also took very long to get warm. Bar staff tend to be slow and more interested in the television than patrons. These issues were not present on the second visit though, which makes the New Tulbagh one of the best value for money hotels I've visited. The noise in that place is unbearable. Parking is a serious problem I.had to wait for 30 minutes trying to locate the.parking because the hotel doesn't have its own parking The car guards were very rude. I will never sleep in that place again. It's not safe. There were some good things: excellent wi-fi, spacious room and bathroom, good location, nice beds and pillows, good little bar off the lobby. Not so good--our double bed was two singles pushed together, the toilet made an incessant, loud running sound, it took 30 minutes to get warm water for a shower. 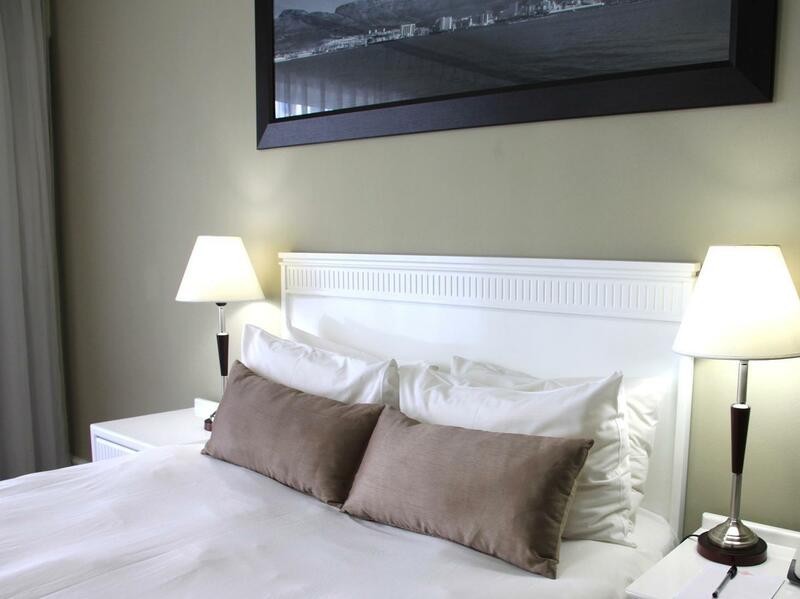 The staff were poor: seemed there was a shortage of staff as we had a coffee stain on the bed for six days and often didn't have clean towels; also, the staff were did deal with were either aloof or actually outright confrontational. Finally, I developed a rash. I am not certain if it came from bed or elsewhere.